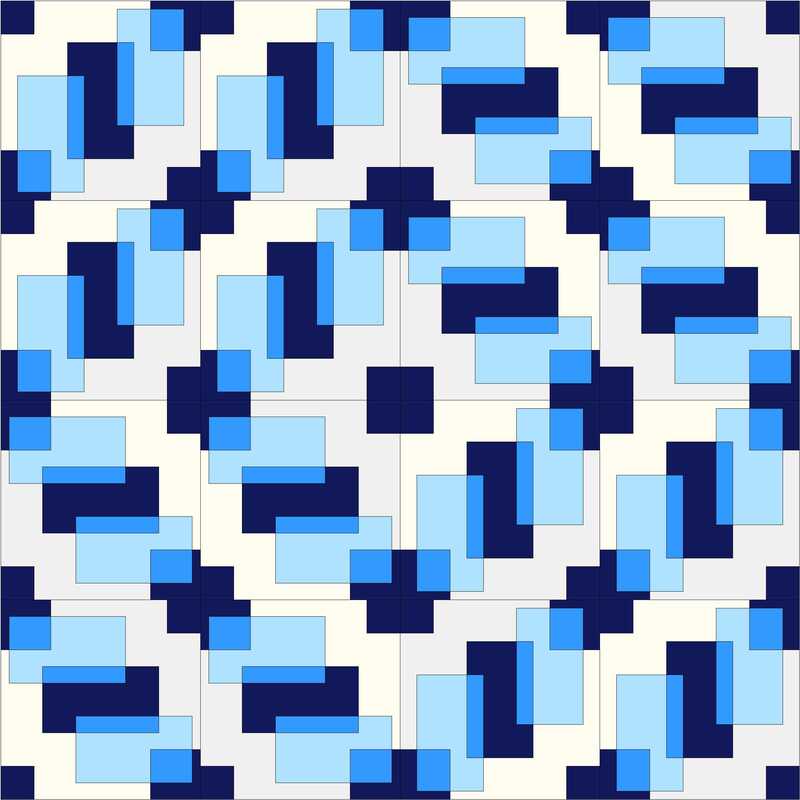 When I was invited to join the Fabri-Quilt New Block Blog Hop with the challenge of creating a new 12″ finished quilt block and sharing a tutorial, I immediately thought of transparency. I’ve been seeing fellow quilters play with transparency a lot lately (Yvonne’s Triangle Transparency quilt and the Transparency Bee Blocks by Hilary of Entropy Always Wins Blog and Leanne at She Can Quilt stand out in my mind most), and have yet to give it a go. 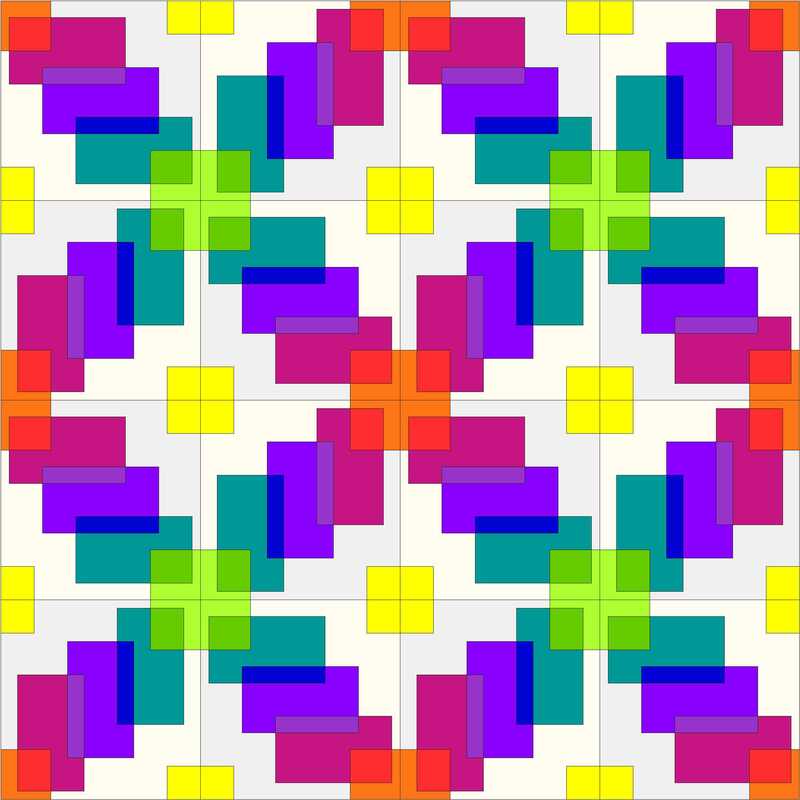 Today I’m going to share a tutorial for how to make the new block Transparent Play that I created using fat eighths provided by Fabri-Quilt. While I’m not typically a prewasher, I would definitely recommend prewashing the Fabri-Quilt solids with a color catcher or two. Note that part of the challenge for creating this block was to make it out of only fat eighths of fabric, so cutting instructions assume a fat eighth is being used. Fat eighths typically measure 9″x21″. All seams are sewn with 1/4″ seam allowance unless otherwise noted. I like to press seams open since it helps the block lay flat and helps me better match seams. Do what works best for you. Since the block is designed for playing with transparency, try to choose fabrics that give the impression of transparency. The blend fabric should be a color that could result from the dark and the light fabrics being overlapped. 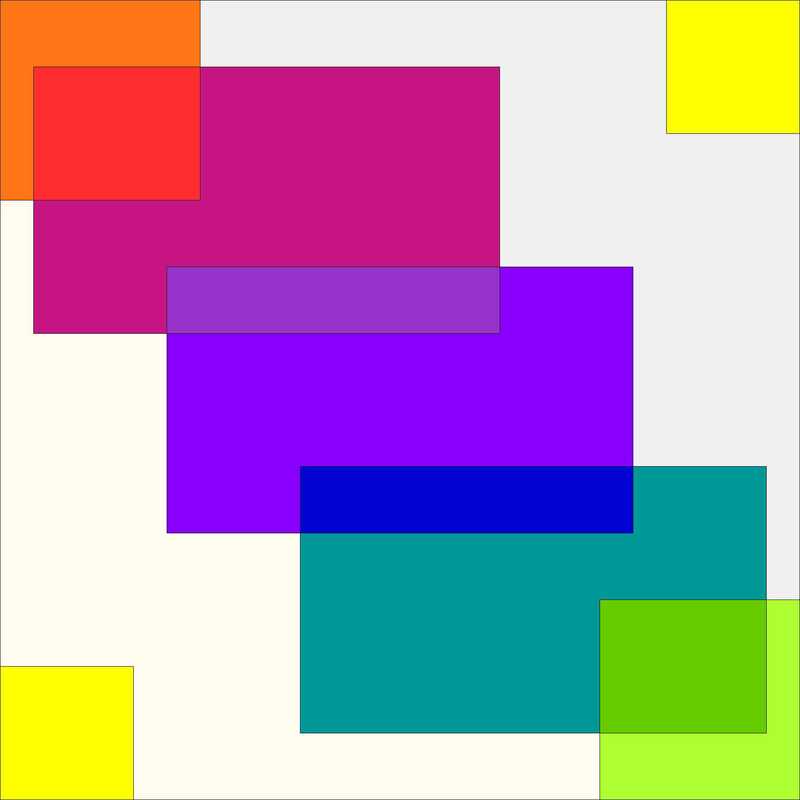 Note that while I made my block mostly monochromatic (one color), this block could be made with color blends, too. For example red as your dark, yellow as your light, and orange as your blend. Again, this tutorial is assuming a fat eighth of fabric is being used for each color. Strips should be cut along the long edge of the fat eighth (usually 20-21″ long and called length of fabric (LOF) in this tutorial). Note that many sections of the block will be strip pieced, so the initial cutting keeps this in mind. Be sure to label your pieces with the coordinating letters so that piecing is a breeze! Cut 1 strip 1 1/2″ x LOF and subcut (1) 1 1/2″x10″ strip (A); and (2) 1 1/2″x5″ rectangles (B). Cut 1 strip 3″ x LOF and subcut (2) 3″x3 1/2″ rectangles (C); (2) 3″x4 1/2″ rectangles (D); and (1) 1″x5″ strip (E). Cut 1 strip 2 1/2″ x LOF and subcut (1) 2 1/2″x5″ rectangle (F); (1) 1 1/2″x5″ rectangle (G); (1) 1″x5″ rectangle (H–note, this fits next to G in the strip); and (2) 1 1/2″x3 1/2″ rectangles (I). 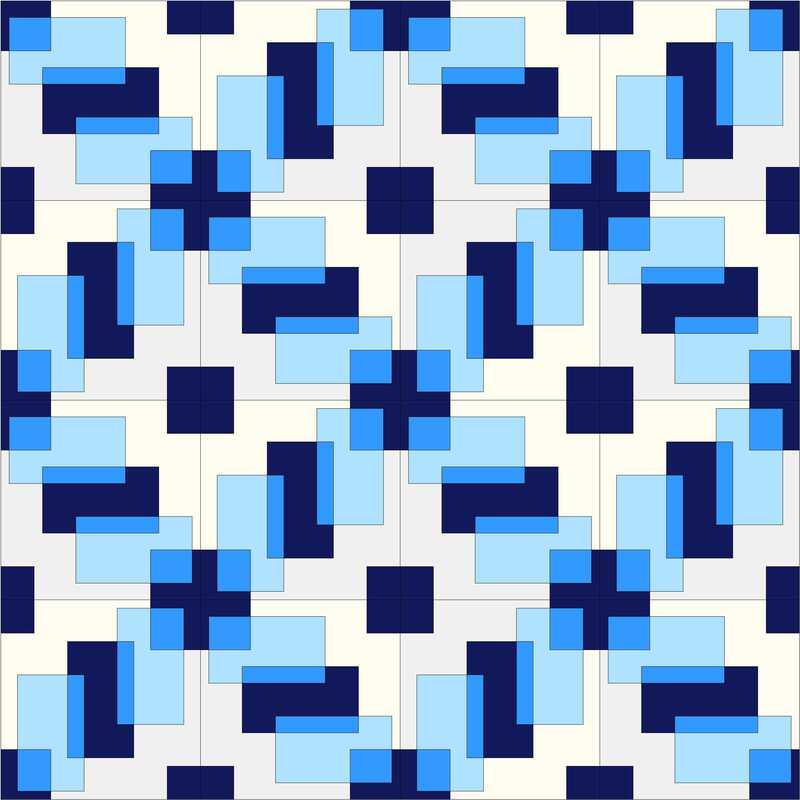 Cut (1) 2 1/2″x7 1/2″ rectangle (J). 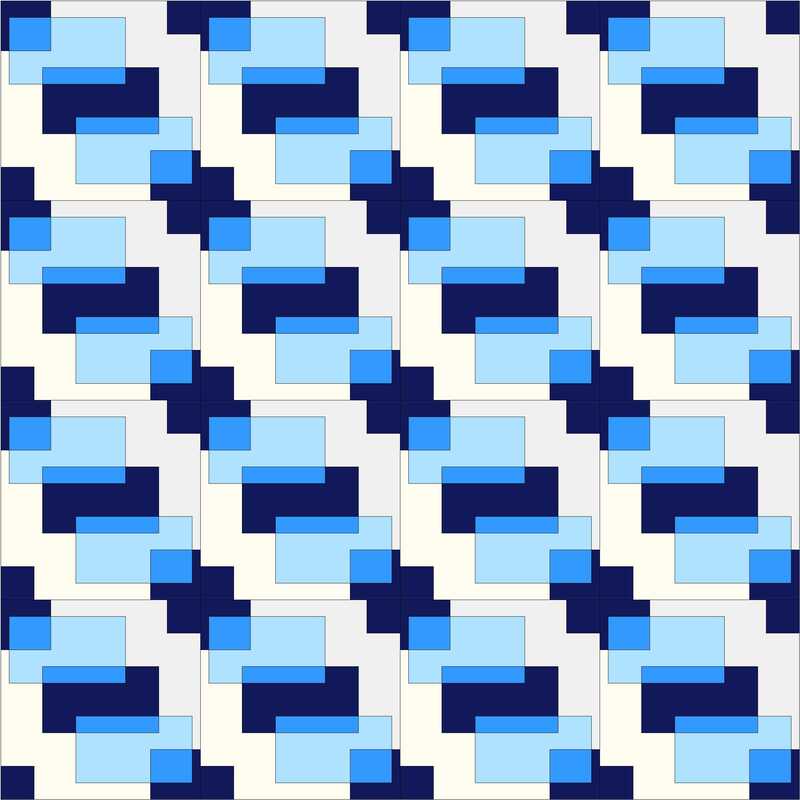 Cut (1) 1 1/2″x11″ strip (M). Cut (1) 2 1/2″xLOF and subcut (1) 2 1/2″x5″ (N); and (1) 2 1/2″x10″ (O). 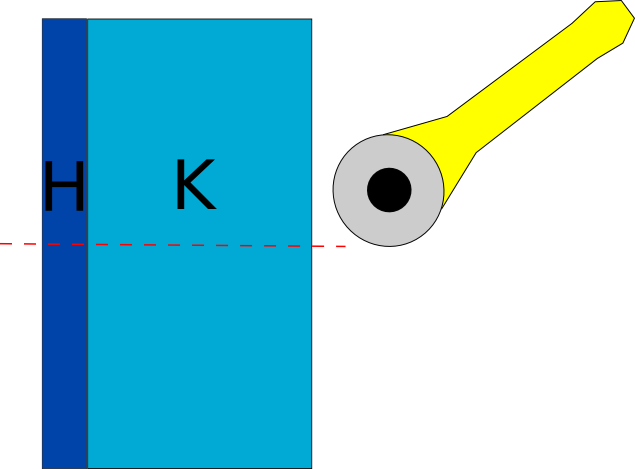 Cut (1) 3 1/2″xLOF and subcut (1) 3″x5″ rectangle (K); and (1) 1 1/2″x11″ strip (L). Sew H to K along the 5″ side. Cut into two equal 3 1/2″x2 1/2″ rectangles as shown above. These are the HK units. Sew I to the top of each HK unit, ensuring that the dark lapis blue H strip is on the left. 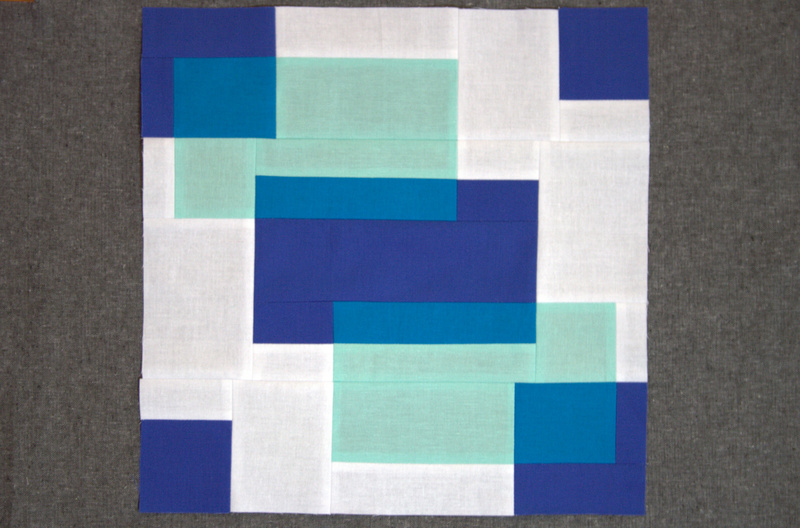 You will have (2) 3 1/2″ squares (above). 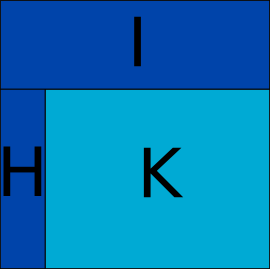 These are the IHK units. Set aside. Sew A to O along the 10″ side. 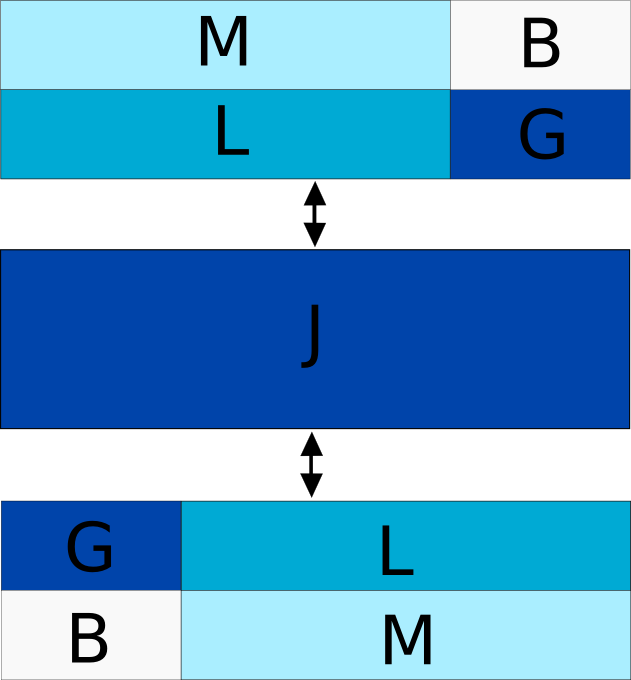 Cut into two equal 5″x3 1/2″ rectangles as shown above. Set aside. Sew F to one of the B pieces along the 5″ side. Cut into two equal 2 1/2″x3 1/2″ rectangles as shown above. These are the FB units. With F on top, sew C pieces to the left side of the FB units along the 3 1/2″ edge. These are the 3 1/2″x5″ CFB units. Assemble the top and bottom panels as shown above. Note that they can be assembled identically, but we will rotate one of them 180 degrees as the bottom panel before final assembly of the block. When matching seams, line up the full length of the seams to be matched (not just at the raw edge) and then pin directly after the seam (about 1/16th “). 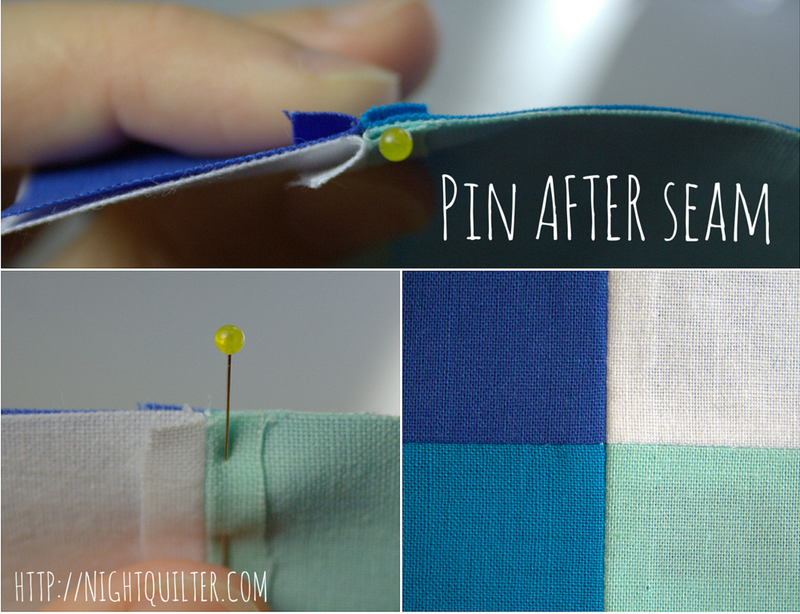 This will ensure your seams stay in position without the pin skewing the fabric alignment when sewing. It will often result in perfectly matched seams. Sew M to L along 11″ side. Cut into two equal 2 1/2″x5 1/2″ rectangles as shown above. These are the ML units. Set aside. Sew B to G along 5″ side. Cut into two equal 2 1/2″x2 1/2″ rectangles as shown above. These are the BG units. Set aside. Sew ML units to BG units as shown above. These are the MLBG units. 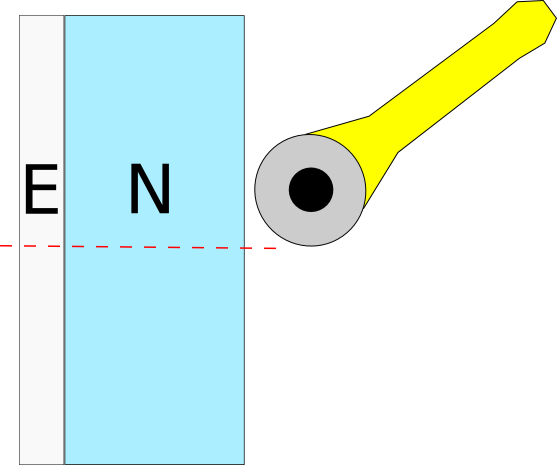 Sew MLBG units to long sides of J as shown. 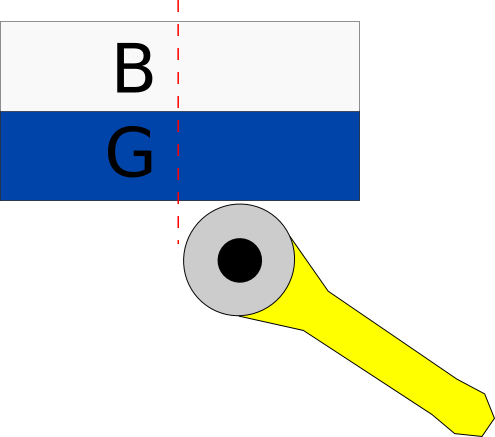 Note that the bottom MLBG unit has been rotated 180 degrees. 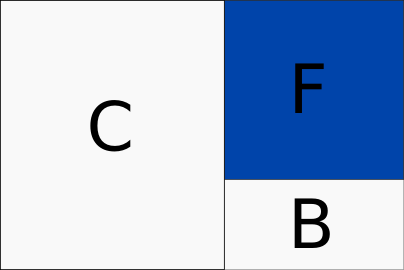 Pay close attention to the position of the colors to ensure the MLBG units are mirroring each other. Set aside. Sew E to N along 5″ side. 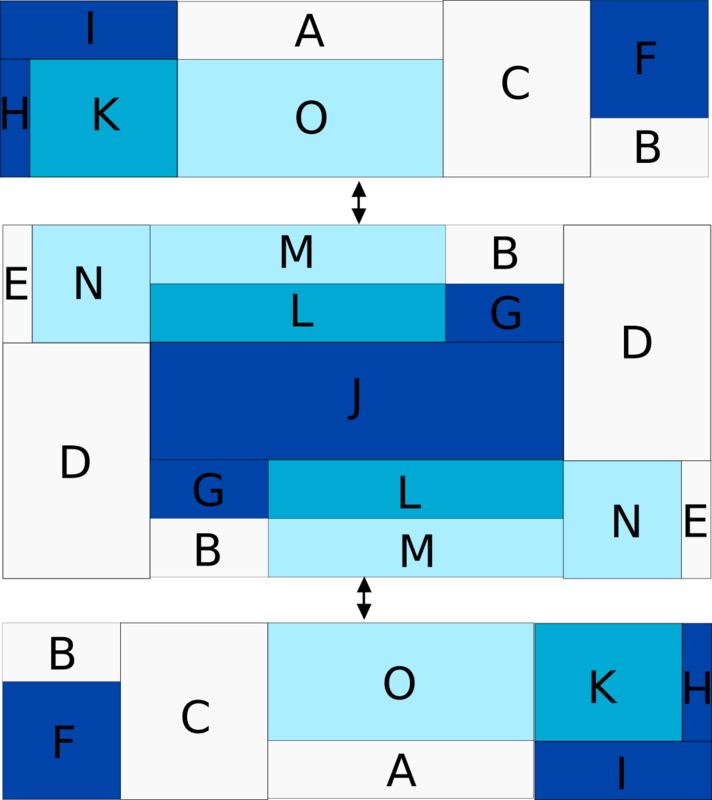 Cut into two equal 3″x 2 1/2″ rectangles as shown above. These are your EN units. Sew D to the bottom of each EN unit, ensuring that the background white E strip is on the left. You will have (2) 3″x6 1/2″ rectangles (above). These are the END units. Assemble the center panel as shown above. 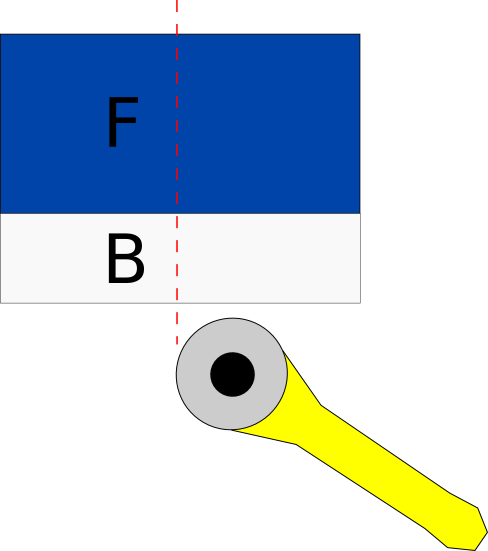 Note that the right END unit has been rotated 180 degrees. 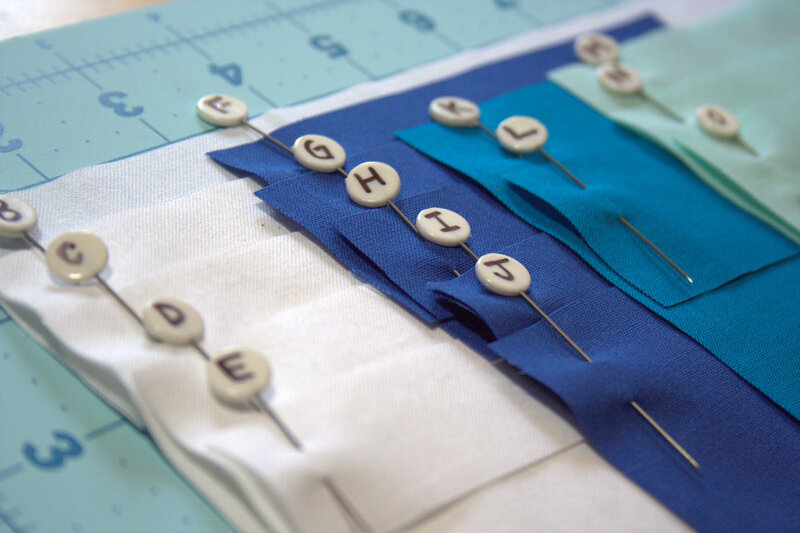 Pay close attention to the position of the colors before sewing. 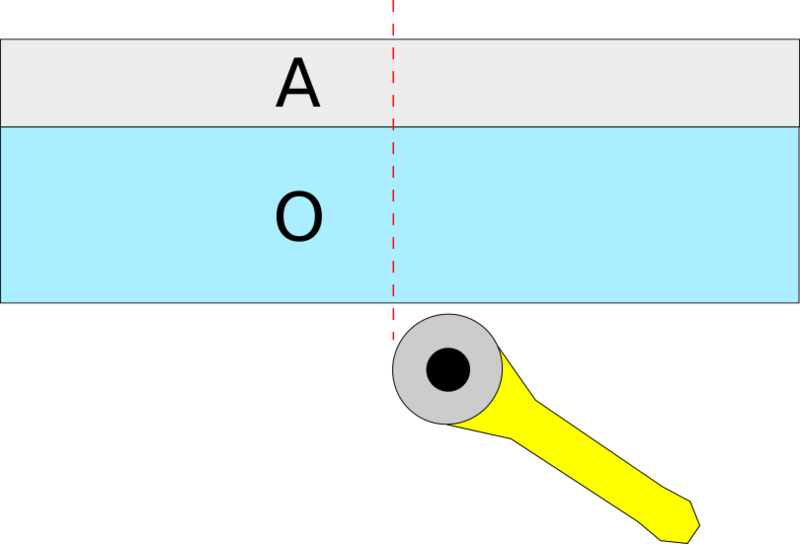 The center panel should measure 12 1/2″ x 6 1/2″ at this point. Sew top and bottom panels to center panel to complete the quilt block as shown above. Note that the bottom panel has been rotated 180 degrees. Congratulations! You just made your first Transparent Play block. It wasn’t nearly as tricky as it first looked, was it? Strip piecing is awesome. 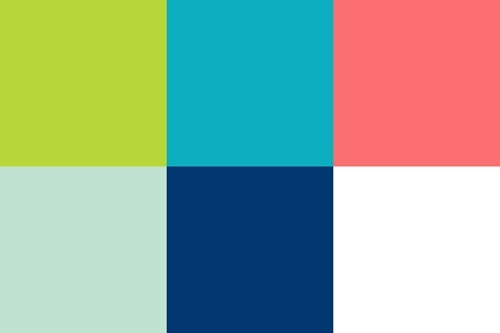 I also couldn’t let a post go without including a peek at a rainbow, so here’s a sample block using color gradient transparency instead of monochromatic transparency. 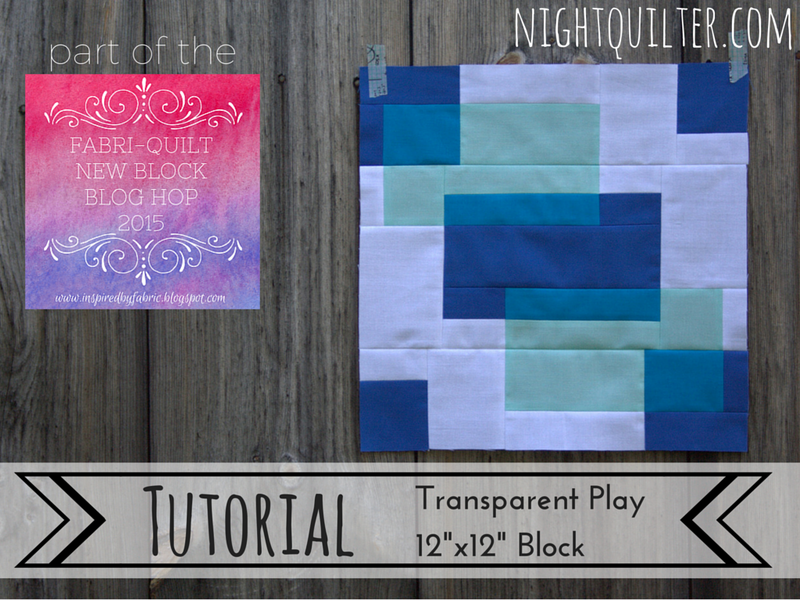 I hope you’ve had fun making your Transparent Play block, and please tag me @nightquilter on social media if you make it–I would love to see! Also be sure to visit the others hosts’ pages (Yvonne @Quilting Jetgirl, Cheryl @Meadow Mist Designs, and Terri Ann @Childlike Fascination) for links to all of the blocks posted Monday through Thursday of this week. All of these blocks are being mailed to a host, who is assembling them into charity quilts. 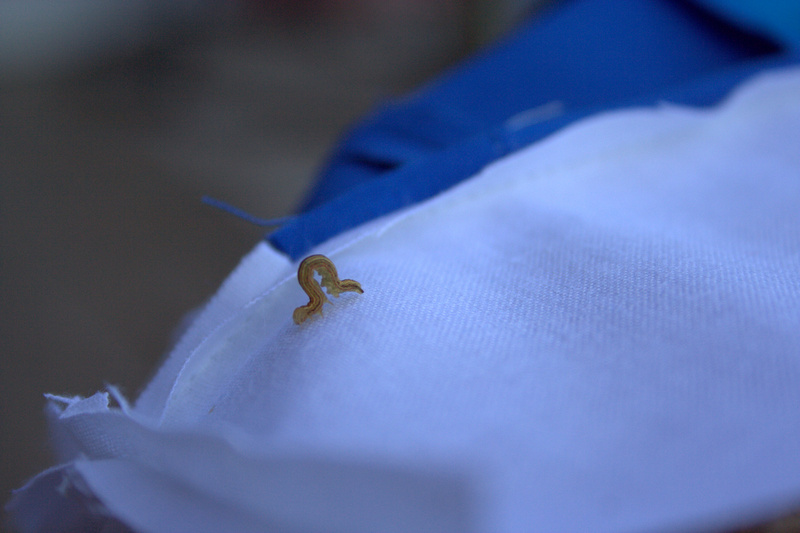 I made an inchworm friend while photographing this block. He was testing out my seams for good measure! (get it!? LOL) Have fun inching your way through the rest of the blog hop! 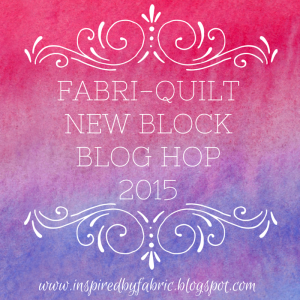 I’m linking up with Tips & Tutorials Tuesday at Late Night Quilter.